In the past, not all patients were able to take advantage of Hoover dental implants and local dentists nearby. With recent advances in implant and bone grating technologies, dental implants can be used for most cases of missing teeth. Also, dental implants are the modern solution for replacing missing teeth. With implants, patients can have the beauty and function of natural teeth. Dr. Sampson utilizes latest technology to make the procedure minimal invasive. In addition, he has extensive training in every step of treatment and has successfully completed many implant treatments. Dr. Sampson and his staff have the experience and technology necessary to provide all phases of implant treatment. This means that Dr. Sampson’s patients can receive their implants and quality new teeth right in the office. While Dr. Sampson is highly trained in dental implant treatment, he continues to stay current with the latest developments in dental technology in order to provide the best possible treatment to his clients. Providing the entire treatment in one office visit makes it more economical for patients. The Doctors keep implant pricing simple and affordable. Moreover, implants look, act and feel like natural teeth. In addition, people usually do not notice any difference. Implants are the strongest and longest-lasting replacements for missing teeth. As we know already, implants let you talk and chew just like with natural teeth. Implants don’t require alteration to the structure of adjacent teeth, as with dental bridges. Furthermore, implants preserve bone in the jaw and prevent the unattractive facial sagging and loss of structure that occurs, over time, with dentures. 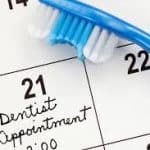 There are times that we all have to reschedule a dental appointment. Why a missed local dental appointment can be detrimental. Even if it’s just one appointment missed, the health of your teeth and overall condition could in fact suffer. 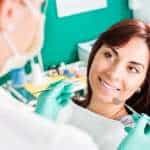 So, why is it important to attend all your dental appointments? Your cavities can be spotted quickly before they cause other oral problems. Many people believe that the worse a cavity could do is cause a bit of oral pain and sensitivity. But cavities, if left untreated for even a few months too long, can cause a lot of harm. Leaving a tooth to decay is not only painful, but it could also lead to infection and tooth loss. Cavities don’t just sit there; they get deeper, uglier, and more painful over time. Potential oral cancers and other diseases can be diagnosed and treated ASAP. While oral cancers and other diseases aren’t per say common in dental patients, they still have a very real possibility of developing. With gum disease and oral cancers, these are important to detect as soon as possible as these are not curable, at least not in the late stages. Your dentist can get rid of your plaque before it turns into hard-to-remove tartar. 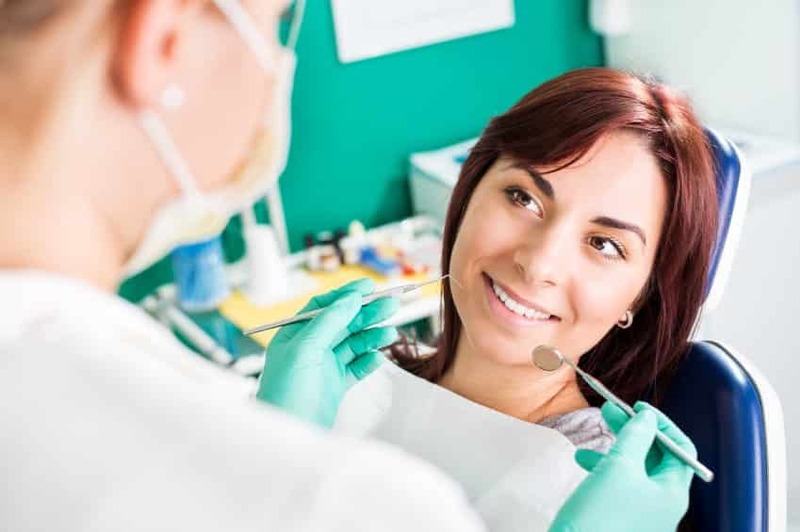 This may not seem very important to some patients, however, keep in mind that plaque is a type of dangerous oral bacteria that can cause gum disease, cavities, and other health problems. With that being said, imagine how damaging tartar is, which is a more permanent, hardened form of plaque. Looking at the short-term effects, tartar is visible in comparison to a microscopic plaque. Your body will thank you in the short and long run. The goal of having good oral standing isn’t always about having perfectly straight, white teeth and fresh breath. It’s also about keeping your oral bacteria levels down. The less oral bacteria you have, the healthier the rest of your body will be and the less bad bacteria that will be present in the rest of your body. In general, bad bacteria can cause a distorted digestive system and gut flora and in turn cause other body-related problems and diseases. Thousands of Birmingham Alabama residents get their teeth whitened every year. At Sampson Dentistry, here are the top 3 reasons to whiten your teeth. 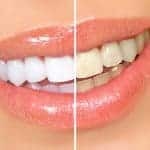 Teeth whitening from Sampson Dentistry can provide you with a gorgeous smile that’s up to 10 shades whiter. Prepare for that special event. Do you have a special event like an anniversary, wedding, or presentation coming up? Consider all the people you’ll see or meet, and the pictures that will be taken. You’ll want your best smile to be the focus so you can look back on the memories fondly. Get your teeth whitened, and you’re sure to be more confident during your next special event. First impressions are everything. And a bright smile can help you make the right one. Whether you’re dating, interviewing for a new job, or meeting important clients at work. Feel confident about your smile! Your smile says so much about who you are. But if you have stained or yellowed teeth, you may feel too self-conscious to express yourself to the world. 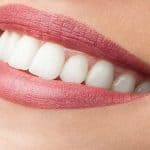 In recent years, Birmingham Alabama residents have had two options to choose from in regards to today’s porcelain veneers through Birmingham dentist. Birmingham residents can choose from traditional veneers and no-preparation veneers. With traditional veneers, your dentist will remove a very small amount of enamel from the tooth or teeth that will be receiving the veneer. Then, your Hoover Alabama dentist takes an impression of your slightly shaved tooth, so a veneer can be crafted for it. It’ll take between two and four weeks to receive the veneer. In the meantime, you can get temporary veneers during the interim. Take in consideration that with no-preparation veneers, there is no removal or shaving your natural teeth required. Veneers fit over your existing natural teeth. Before placing veneers permanently, your dentist checks the final veneer’s fit and appearance in your mouth. If the veneer doesn’t fit perfectly, the dentist can trim it down. 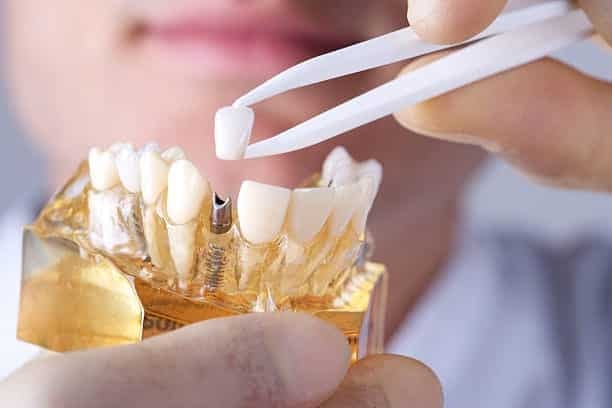 After cleaning, polishing, and etching your tooth, your dentist will bond the veneer to your tooth. 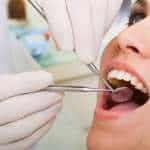 Your local Hoover dentist can make a bite and fit adjustment after the veneer has been placed and cemented. Today’s veneers last for between 10 and 30 years, which is a huge improvement over the old style that barely stayed in place. Porcelain veneers have been around since the late 1920s, and it should be no surprise that they began in Hollywood. A California dentist came up with a way to enhance the smiles of his Hollywood star patients. The stars would wear the caps during movie scenes, then remove them. Though this is a long way from the porcelain permanent veneers we think of today, it’s the beginning of using veneers to perfect someone’s smile. 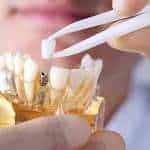 Dr. Sampson provides full cosmetic dentistry services in Hoover Alabama Procedures can be completed in just one or two visits. Dr. Sampson’s approach to cosmetic dentistry is completely customized, based on what each patient wants. Every patient is unique and has different needs and goals for their smile. First of all, at Sampson Dentistry, a smile makeover doesn’t have to take a long time to complete. Cosmetic makeovers are often completed in just one or two visits, without skimping on quality. Furthermore, veneers are often done in the office in one visit, or if an external lab is needed, just two visits. In addition, Dr. Sampson has years of experience in cosmetic dentistry and has completed many smile makeovers. Dr. Sampson has extensive cosmetic training and have a wide variety of procedures at his disposal, including veneers, crowns, implants, teeth whitening and gum recontouring. Nothing on your face makes a greater contribution to how you look than your smile. This is why so many patients embrace opportunities provided by cosmetic dentistry procedures to enhance their smiles. Most noteworthy, cosmetic dental procedures can offer several advantages, including brighter, whiter teeth, straighter teeth and correction of broken teeth, among many others. Most of all, missing teeth will also be replaced, and when coupled with restorative procedures, you can have stronger teeth in the process. 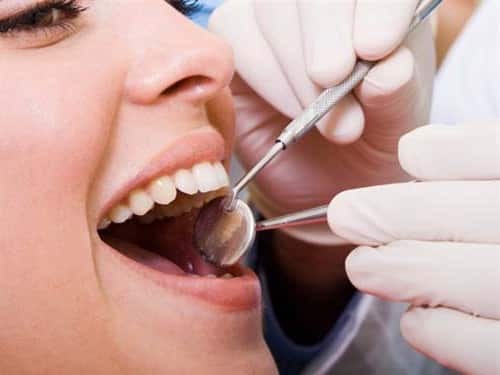 However, even if you are such a person, it may be difficult to understand and choose exactly what treatment options are right for you, but with assistance from a dental practitioner, you can get the way forward and select from a number of available avenues for improvement. As a result, there are many forms of cosmetic treatments for your teeth to help you get a better looking smile over time, which is why you need the help of a professional to determine which options are healthy and safe for you depending on the state of your current smile. 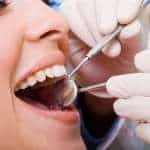 Unfortunately, there are cases when individuals may still experience dental problems that can affect their oral health. So to deal with dental issues properly, the best option is to visit Sampson Dentistry. Therefore, with the help of Dr. Sampson, dental problems are resolved easily. Dr. Sampson can also provide you with the best cosmetic dentistry services you are looking for. Nervous or highly fearful patients can receive the treatment they need in a low-stress. relaxed state thorough the use of sedation dentistry. Many Americans avoid seeing a dentist because of anxiety and fear. This can have serious consequences for their dental health and overall quality of life. The practice offers oral conscious sedation as an option for patients who are very anxious during dental treatment or who need to undergo long procedures. With oral conscious sedation, the patient takes a pill that induces a highly relaxed state. The patient is awake and aware of their surroundings and can follow instructions from the dentist. Because the pill is taken several hours before the appointment and takes a little while to wear off, the patient will need someone to drive them to the dentist’s office and back again after the appointment. Using oral conscious sedation, Dr. Sampson has helped many patients comfortably get the treatment they need. Broken down, decayed or missing teeth no longer need to be endured. Dr. Sampson is highly experienced in full mouth dental restoration treatment. While Dr. Sampson merticulously plans and prepares for each treatment, he will ensure that the resulting smile is beautiful, as well as healthy and well-functioning. Patients often come to Sampson Dentistry with a complex set of conditions. These conditions are missing teeth, a poorly aligned bite or broken-down teeth. After thorough diagnostics and a consultation, the doctors provide treatment options that take into account the patient’s desires, circumstances, and budget. 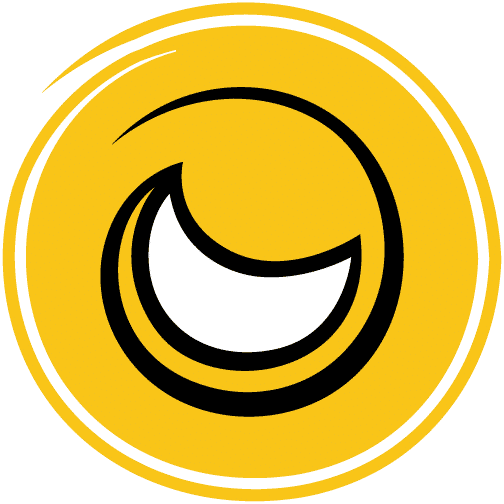 In addition, they take the time to make sure the patient understands the recommendations and help them decide which treatment would be best for them. Dr. Sampson ensures that patients are comfortable at all times during treatment. The practice has many comfort amenities. For patients who need extra help with anxiety during treatment, oral sedation is available.